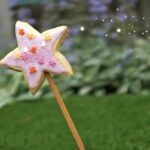 I couldn’t resist making these SUPER quick and EASY cookies with the kids. 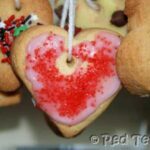 The best part about them, is that you can use plain store bought cookies, or use your family’s favourite basic cookie recipe. 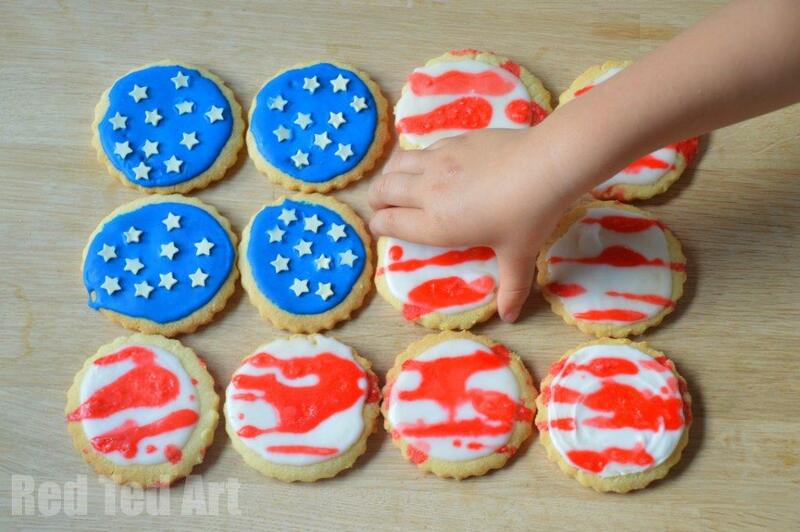 And as these 4th July Cookies are so easy to decorate, they make for a great party activity with lots of kids and grown ups. Just stock up on cookies and icing sugar and have fun on the day! 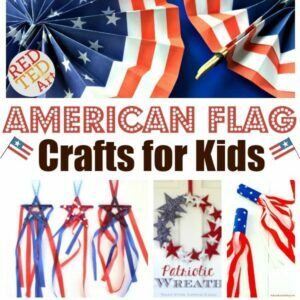 Perfect for anyone looking for American Flag Activities for Kids! 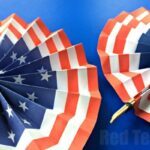 I think you will also love our 4th of July Paper Fans. You can make them from scratch or use our easy DIY Paper Fans Template – they make a wonderful Patriotic Kids Craft , but also double up as great 4th Of July Rosette decorations – cover a whole wall with them or hang them from trees or garden fences!! 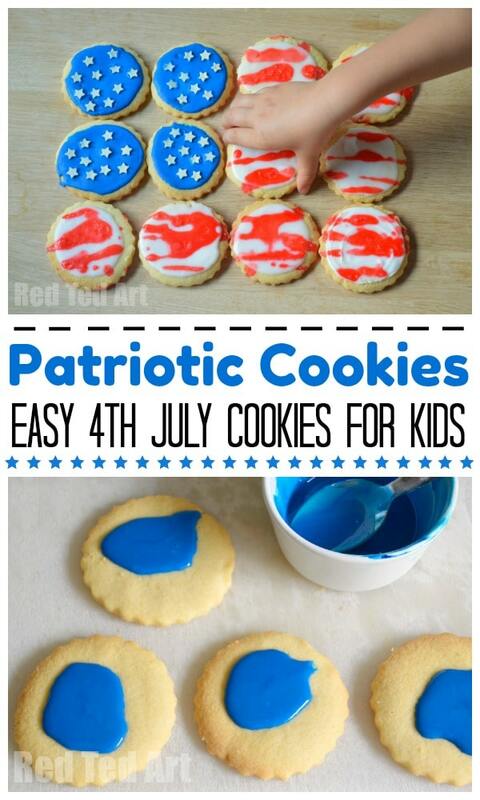 Note: these patriotic cookies were first published in June 2014 and I have updated and republished it for your convenience! 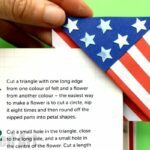 We recommend the beautiful and vibrant AmericColor Fingerpaints to US readers and Sugarflair to UK readers. 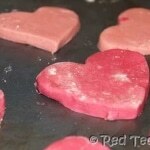 They are strong vibrant food gel dyes. 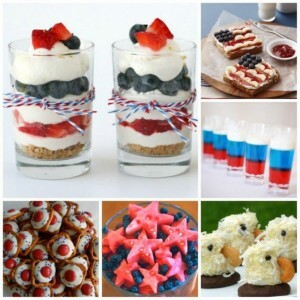 1) Mix a little icing sugar with water and your food gel. We started with blue first (be warned, we ended up with blue tongues!!). 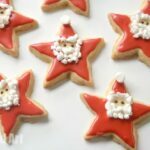 Let the kids drizzle over cookies. Let it dry a LITTLE first and then sprinkle on your stars. The reason I let it dry a little first, is that sometimes the water in the icing sugar, does funny things to our sprinkles and we didn’t want the blue to run into the white chocolate stars. 2) Move onto the next colour: white. Mix your icing sugar with the lemon and water (the lemon is optional, but oh so tasty). 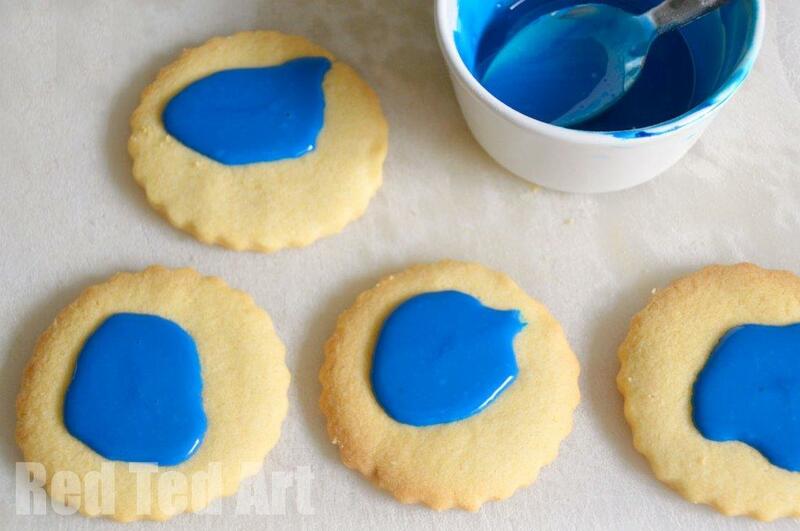 Add to your cookie. 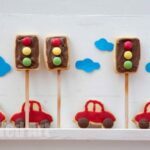 Again let it dry a little..
3) Drizzle your read food colouring (the kids loved this best and did get a bit messy). 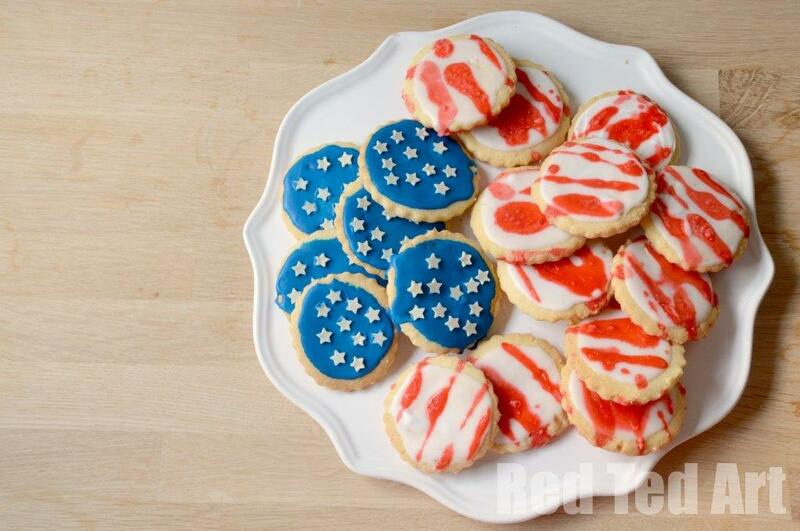 Once your Patriotic cookies are fully dry – pile high and enjoy!